"Women Supporting Women Vets" WSWV is hosting an online eBay auction to raise money to erect a Livingston County's Veterans Memorial for female veterans. This is an opportunity to clean your attic of items and help raise money for this group. See attached flyer on how you can contribute items to this event. "Operation Hand Salute" AT & T Global Supplier Diversity is hosting a program to assist veteran owned businesses mentoring, education, and opportunities to expand your business. This program will start is late April but you must register prior to April 1st to get into this free program. See flyer for complete details. "Thursday, February 27, 2014" Silent Battles, a faith based group working with our young veterans with PTSD, is hosting a fundraiser at The Lodge, 2812 Orchard Lake Rd, Keego Harbor, all day. 20% of all purchases will be donated to Silent Battles if the attached flyer is used at checkout. "Saturday, March 1, 2014" Hiring Our Heroes Job Fair will be held at the John Dingell VA Health Center, 4646 John R, Detroit, from 1 to 4PM, with various workshops starting at 9AM. See flyer for more information. "Saturday, March 1, 2014 (NEW)" Southwest Solutions is working with veterans interested in owning their own house, or those having problems with utility shutoff notices. They will provide counseling and screening with help from the VA at the Westland Public Library, 6123 Central Pkwy from 10AM to 1PM. See flyer for more information. "Saturday, March 1, 2014" The Michigan Military Technical & Historical Society is hosting a roundtable about Detroit in World War II at thier museum, 16600 Stephens, Eastpoint, starting at 4PM. Admission by donation. See attached flyer for complete details. 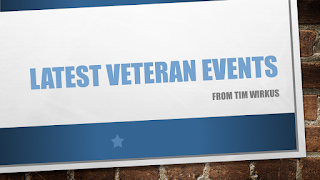 "Saturday, March 1, 2014" Lake Orion UAW Local 5960 is teaming us with the VFW to offer an extensive overview of all veterans benefits and have service officers present to assist in in filing VA claims, at their office at 180 E Silverbell Rd, Lake Orion, from 9:30AM till 2PM. The class is 4 Saturdays in March, but attendance at all 4 is not mandatory. A donation of $25 is requested to cover service book, training materials, coffee, etc. Contact Al by phone at 248-377-5555 or email him at the link. See flyer for more information and registration form. "Wednesday, March 5, 2014" The Southfield Public Library is having another event in their series of women that made a dirrerence in our various wars. Meet Joann Puffer Kotcher, Donut Dolly from Vietnam, and her book about an American Red Cross Girl's War in Vietnam. This free leture will take place in the public meeting room, starting at 6:30PM. See flyer for more information.Neighborhood Legal Services is collaborating with the Veterans Justice Outreach Program and John D. Dingell VA Medical Center to provide a Legal Clinic for homeless Veterans and Veterans at risk of homelessness at the John D. Dingell VA Medical Center. February 28th, Friday 3:00 p.m. to Midnight – VFW 9507 Madison Heights – “Burger & Fries for $5.50”. $.75 for 12 oz. Draft Beer. $1.75 for 22 oz. Draft Beer. Karaoke at 9 p.m. VFW 9507 is located at 630 E. 11 Mile Road in Madison Heights 48071. Phone (248) 543-2557. 11. February 28th, Friday 5:00 p.m. to 8:00 p.m. – VFW 1669 Royal Oak – “BURGER & FRIES or ONION RINGS for $5.50”. Your choice of a Burger & Fries or a Burger & Onion Rings for $5.50. Happy Hour from 5 p.m. to 8 p.m. Karaoke at 9 p.m. Post 1669 is located at 214 E. 4th Street in Downtown Royal Oak, just 2 blocks East of Main Street. Phone (248) 541-9846. February 28th, Friday 5:00 p.m. to 8:00 p.m. – VFW 2645 Southfield. “FRIDAY NIGHT FISH FRY”. COD Fish Dinner for $8, CATFISH or PERCH Dinner for $7.50, CHICKEN FINGER Dinner for $7.50, JUMBO SHRIMP Dinner for $9, WING DINGS & FRIES for $7, COMBO Dinners for $9.50, SANDWICHES for $5 and POUND CAKE per slice at $1.50. Sides include French-Fries, Cole Slaw, Spaghetti, and Macaroni & Cheese. Extra Sides $1.50. Extra Fish $2.50. Beverage is available. Dine In or Take Out. Call Ahead for Quicker Service at (248) 350-3529. Come out, bring your Friends, and Enjoy a Great Meal. OPEN TO THE PUBLIC! Parking in rear of Post. Post 2645 is located at 24222 W. 9 Mile Road, just West of Telegraph in Southfield. 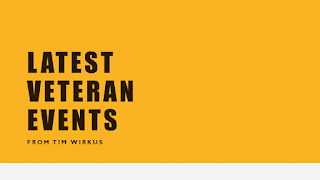 February 28th, Friday 5:30 p.m. to 9:00 p.m. – VFW 1370 Pontiac – “Burger’s- $4 w/ fries $5, Devil Dog- $3 w/ fries $4; bacon wrapped “Koegel” hot dog, beans, fresco cheese, and all the fixings including devil sauce, Steak Burrito - $4; steak, rice, bean, pico de gallo, and cheese - 2 pounder! $6, Boot Camp Burrito Challenge - 3 pound version of the regular steak burrito, loaded in devil sauce and extremely spicy. 1 out of 3 contestants have been able to complete the Ghost Chili Burrito challenge so far, the first to do it was a fellow U.S. Marine, Tom LaForge. $12 or free if you complete the challenge within 45 minutes. This is an open challenge, so any member or guest is welcome to try. WARNING: it is extremely spicy. To get a good look at the difficulty feel free to pull it up on YouTube under VFW 1370 1st Annual Boot camp Burrito Challenge.” VFW 1370 is located at 791 Mae Court in Pontiac 48340. Phone (248) 858-9501. 14. February 28th, Friday 8:30 p.m. to 12:30 a.m. – VFW 1146 St. Clair Shores – “KARAOKE IN THE CLUBROOM”. No Cover Charge! Bruce Post 1146 is located at 28404 Jefferson (N. or 11 Mile Road) in St. Clair Shores. February 28th, Friday 9:00 p.m. to 2:00 a.m. – VFW 9507 Madison Heights. KARAOKE IN THE CLUBROOM!” No Cover Charge! VFW 9507 Madison Heights is located at 630 E. 11 Mile Road in Madison Heights 48071. March 1st, Saturday 4:00 p.m. to 7:00 p.m. – VFW 9021 Warren – “1st Steak Out in 2014”. VFW 9021 is located at 32100 Ryan Road in Warren 48092. Just North of Chicago Road or North of 13 Mile Road. Phone (586) 264-3490. March 2nd, Sunday 6:15 p.m. – VFW 4156 White Lake – “BINGO”. VFW 4156 is located at 321 Union Lake Road in White Lake 48386. Phone 248-698-8302. OPEN TO THE PUBLIC!